Interview with Robert Mays reveals a disturbing pattern of misrepresentation and distortion in Luke Dittrich’s Proof of Heaven expose published in Esquire Magazine. 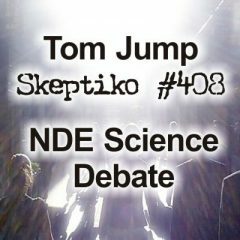 Dear Luke and David (by way of Matt)… today Skeptiko.com published an important interview suggesting serious errors were made in Esquire’s recent piece on Dr. Eben Alexander. Robert and Suzanne Mays investigated Alexander’s case and have email correspondence from Dr. Laura Potter. In these emails Dr. Potter claims your Esquire article misrepresented her, and distorted crucial parts of Alexander’s medical case. I think you would agree that if these emails are genuine they would suggest a serious breach of journalistic integrity as the crux of your expose rests on Dr. Potter’s account. 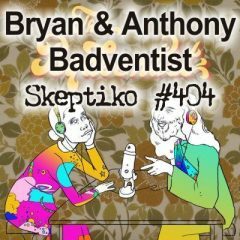 I’m happy to present your side of these events, and am again extending my offer to interview you on Skeptiko. Alex Tsakiris: The Dittrich article in Esquire, it’s extremely well-crafted. Let’s give them that. And he builds this case with the facts that he has, but he really builds this whole thing around — this guy’s a liar. He approaches it from a number of different angles, some of which are really substantive to the story like the coma thing, and these other things that he picks at, but they do kind of stick in your mind as you’re reading the article. Like the rainbow thing. Tell us what the rainbow thing is all about and then tell us what you found out. I said, “Well, wait a minute. Two people said they saw it.” So I called Phyllis Alexander and she said, “Definitely we saw a rainbow. Betty remarked that it was a perfect rainbow.” They talked about it. Then they went immediately up to Eben’s room and there Eben was, sitting up. So that was the time that he had recovered. 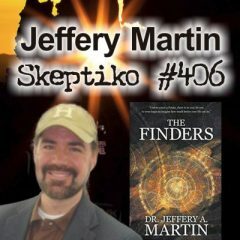 Alex Tsakiris: And just to add a little tidbit that you talk about in your article that I thought was great and is the real kind of journalism that we would have liked to have gotten from Esquire is that you not only talked to these eyewitnesses, which he did not–he just went on some meteorological report–but they also had evidence. It was such a spectacular event that they had written an email. Robert Mays: Right. That day Phyllis said she had written to friends in Boston who were praying for Eben. She said, “Eben has recovered and I saw a beautiful rainbow as I was coming into the hospital.” So there’s that documentation, as well. So Luke Dittrich’s argument there is empty. Alex Tsakiris: It’s shoddy journalism. If you’re trying to debunk something, which I’ve run across so many times, that’s one thing. You’re a debunker. You’re just out there throwing whatever you can against the wall and seeing what sticks. But if you’re Esquire, who still has some kind of legitimacy as a journalistic enterprise, you have to do more than this. You have to talk to witnesses. You have to get their side of it. I think this lays a pattern for what else we’re about to talk about. Alex Tsakiris: Here’s what you get from Luke Dittrich’s story in Esquire — Dr. Laura Potter discredits Dr. Eben Alexander’s story. It couldn’t have happened the way he described. He wasn’t really in a coma. He was delirious. So why don’t you pick up from there, Robert? You’ve said you put a couple calls in to Dr. Potter at this point in the story. You haven’t heard back. What happens next? Alex Tsakiris: In fact, she stated that her account was misrepresented, and that she felt like the questions weren’t fair. And this is backed up by what you heard from the family, right? Because the family talks to Dr. Potter and she’s apologizing, saying “Gosh, I don’t know how this happened.” That’s what I took away from your article. Is that what you got from talking to the family? Robert Mays: Right. And basically Dr. Potter expressed to the family that she had been misrepresented and that her words were taken out of context by Luke Dittrich and that he had led her to say certain things. The question that Luke Dittrich says he posed to her I don’t think is a question he actually posed to her when she said, “Yes, conscious but delirious.” It would be very interesting to see what exactly happened in that interview and just understand what she was responding to. Alex Tsakiris: I think it would be more than interesting. I think it’s absolutely his responsibility, given the damage that this article has done and sought to do from the beginning. There’s an added level of journalistic responsibility to get your facts right. These things being called into question this way demands that he really back up his claims. 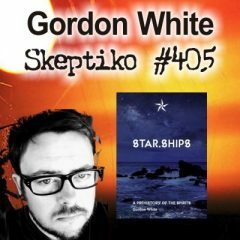 Today we welcome Robert Mays to Skeptiko. 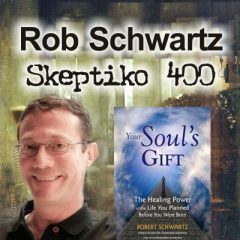 Robert, along with his wife, Suzanne, have been longtime researchers in the field of near-death experience and consciousness studies. They’ve published quite a few papers and have done presentations for both, the International Association of Near-Death Studies Conference, and the well-known Science of Consciousness Conference in Tucson, Arizona. So, anyone who’s familiar with this field very well might have bumped into the work of these two very interesting and excellent near-death experience researchers. Robert is here today to talk about a new article they just published titled, “Esquire Article on Eben Alexander Distorts the Facts,” in which they tell about their investigation into the near-death experience account of Harvard neurosurgeon Eben Alexander, who last year published a blockbuster best-seller book titled, Proof of Heaven: A Neurosurgeon’s Near-Death Experience and Journey Into the Afterlife. So with that I’d like to introduce you to Robert Mays. 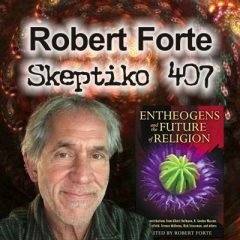 Robert, thanks so much for joining me today on Skeptiko. Robert Mays: Thank you. I’m glad to be here. Alex Tsakiris: Before we dive into this article that you’ve published on Dr. Eben Alexander’s case and then the book and the controversy that’s stirred up around that, I thought you could tell us a little bit about the research that you and Suzanne have done. In checking out your website there’s a lot of stuff that you guys have published in this field. Tell us a little bit about that. Robert Mays: Well, we have a basic theory based on the near-death experience that the mind, a person’s consciousness, separates from the body in a near-death experience and operates independently of it. Then, of course, at the end of the near-death experience it rejoins the body. Alex Tsakiris: This isn’t something that you’ve just dreamt up or anything. It’s a compilation of a lot of research and you present your case. From what I’ve seen you do a very fair job of saying, “Hey, doesn’t the evidence point there?” You do some great stuff on the phantom limb phenomena, which is a well-known medical phenomenon that when an amputee loses an arm or a leg they can still have sensations down there. You question in a very scientific, scholarly way whether or not some research points to that as being further evidence of this separation between consciousness and brain function. Right? Robert Mays: Exactly. The phantom limbs, they are a region where the limb was that still has a region of consciousness. So we call that a mind-to-limb. That’s one of the pieces of evidence that we use. Also a lot of neurological evidence that we use because if you look at neurological phenomena from the point of view of could this be a mind and a brain operating, then a lot of things start to make a lot of sense. For example, Benjamin Libet did quite a number of studies where he showed that mental events become conscious only when there’s sufficient electrical brain activity. Otherwise, they remained subliminal. Of course, neuroscientists know that but if you think about it, if it requires a certain amount of electrical activity for there to be formed the consciousness in the mind, then that makes a lot of sense. So we use the neurological phenomena, phantom limb phenomena, and the NDE phenomena. Alex Tsakiris: One of the reasons that I even brought up the broad research that you’ve done into consciousness and near-death studies is that I think that plays an important part into this story we’re about to tell about Dr. Eben Alexander. That is, you have done near-death experience research. You’ve read many of the dozens and dozens of scholarly books, hundreds of papers. You’ve met a lot of these people at conferences, interacted with them on a professional basis. I guess the reason I keep hounding on that is I want to go back a little bit. But from the beginning, my thought was Hey, great. Another fantastic near-death experience account. I certainly didn’t take it as being that out of the ordinary or unusual. So I guess I was surprised when the book came out a year later and there was just this backlash against Alexander, as if this was the first near-death experience account that had ever come out. Or as if there wasn’t a substantial body of research to back up the reality of these phenomena. I felt from the beginning that it was much more of a focus on attacking this one person than attacking the larger body of near-death experience research. Did you have any similar thoughts to that, Robert? Did you see it differently when his book first came out? Robert Mays: This is a kind of pattern, I think, that skeptics have. They will take the particular phenomenon and say, “Well, that’s just an anecdote.” They don’t look at the whole picture of near-death experience research and see there are patterns. This happens all the time when people claim that some sort of neurological phenomenon explains near-death experiences. Alex Tsakiris: I want to take it back one step further. When Eben Alexander comes out with his book–before the book actually comes out, there was a Newsweek article, and he was on the cover of it. I think that really riled up the scientific, Atheistic, mainstream media. But maybe for a reason that is somewhat justified because let’s also be real, too. This really kind of sticks it to the Atheists, right? The scientific folks are fighting this religious culture war and here’s a guy coming out with a book titled Proof of Heaven. You’ve got to know, fairly or unfairly, they felt a pretty strong need to strike back and they did it in the old time-tested way of if you can’t attack the evidence, attack the person. That’s what I think is going on here. I think that title, Proof of Heaven, did rile those folks more than even usual in this case. Robert Mays: Yes, I agree with that. Alex Tsakiris: Let’s go forward. One additional point I want to bring up on that is when the book did come out, one of the first guys who jumped forward and led this charge of attack from the science crowd and Atheist crowd was Sam Harris. I actually had an email exchange with Dr. Harris that I think is pretty revealing. He came out and said–and I don’t know how he could back this up but he did. He wrote this scathing review and basically questioned Alexander’s integrity. To your point, Robert, it’s the kind of talking points thing. He gets those talking points out there that we will see repeated over and over again. He had claims that his account wasn’t factual. He’s basically calling him a liar. And he does all this even before the book is even published. So I sent an email to Dr. Alexander. He was nice enough to respond. I want to read for you the response that Dr. Alexander published. I think it also plays into the next part of this story that we’re going to get into, which is the article that you and Suzanne wrote where you really investigated these claims further. “The severity of my meningitis and its complete resistance to therapy for a week should have eliminated all but the most rudimentary of conscious experiences.” Then he goes on to list a bunch of medical data that I don’t really know a lot about but I think other people in the medical profession would understand. He talks about his white blood count being extremely low. He talks about bands of toxic granulations being at a level that is very, very worrisome. In particular, he talks about his glucose level being extremely low, a 1.0 when it’s normally in the 60 to 80 range and even in a severe meningitis drops down to a 20. So I will publish this. I’ve published it once before but I’ll include it in this show so that people who do want some of these medical facts can dig into it. He was, as we’ll get to in a minute, in and out of coma when he was first admitted to the hospital, so that is factual and it’s confirmed by the medical records. Robert Mays: I think he was in coma continuously. Again, I think this is backed up in the article that you wrote. Let’s get to that. On July 2, 2013, seven or eight months after the book has become a bestseller and sold 2 million copies, I received this email from Esquire‘s editor-in-chief, David Granger. He writes: “This morning we published an important article by Luke Dittrich about Dr. Eben Alexander, the author of Proof of Heaven, which has been one of the great successes in book publishing this year. The premise of the book was irresistible. A man of science, a neurosurgeon, is attacked by a rare disease that sends him into a coma and indeed, causes his brain to cease functioning. While he’s incapacitated, he has a vivid experience of afterlife. Finally, after being restored to health, he recreates his journey in book form. So there we have it. This article from Esquire in July of 2013 just created a firestorm. The folks in the scientific/Atheistic community just ran with this. Many had not read the article. It was behind a pay wall, but that’s their business. But many had not read it; they just ran with it. As you said earlier, we’ve knocked down this guy who everyone is so excited about his near-death experience. Last week–that is August 15, 2013, you and Suzanne published an article on the International Association for Near-Death Studies’ website. I want to get into that article but I want to start with the conclusion that you write in that article. Here’s what you write, you and Suzanne: “The Dittrich article (the article published in Esquire) is shoddy and irresponsible journalism. Shoddy because of Luke Dittrich’s and his Esquire editor’s evident failures.” Then you list some of those failures that I want to talk about. You say that “They failed to consider alternative explanations. They failed to check with sighted witnesses.” Extremely important. “Most importantly, they failed to check with medical experts on many of the assertions that they’re making.” Again, right up there with the most important. They failed to check on the crucial testimony that they get that this whole thing hinges on and they don’t even bother to see whether they really got that right. So with that very lengthy introduction–and I appreciate you standing by. I can only imagine all the things you have to say because you’ve done fantastic research into this case. With that as an introduction, can you tell us how this unfolded for you? 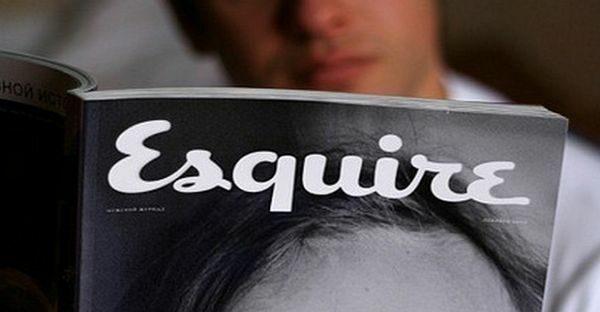 How you became interested in investigating this Esquire article and how all that started. Alex Tsakiris: Let’s introduce Dr. Laura Potter. Who is she? Robert Mays: Dr. Potter was the ER physician when Eben Alexander was brought in on that Monday morning. She was in charge of treating him initially, doing the initial diagnostic tests and so on. Alex Tsakiris: Okay. She’s featured very prominently in the Esquire article as the medical expert. Quickly, and then go on with your story, who is Dr. Scott Wade? Robert Mays: He apparently is the lead physician. Alex Tsakiris: An infectious disease specialist, right? Robert Mays: Of course you would want that with bacterial meningitis. Alex Tsakiris: You just said an important word. He’s the lead physician, okay? So not to discredit or demean in any way the important role that the ER physician, Dr. Laura Potter, played but there are other medical experts in this case that we’ll hear about here today that you certainly didn’t hear about in the Esquire article. You were suspicious, as I was, that hey, wait a minute. The guy had severe spinal meningitis, E. coli bacteria. What is this idea that he wasn’t really that ill? So continue from there. 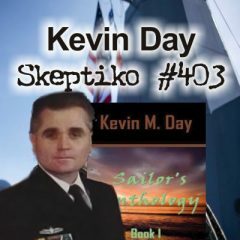 Robert Mays: How could she have said he was conscious but delirious, given all of the medical facts that were present on the Skeptiko website and at the other times Eben Alexander has presented this? So I called the hospital and asked to speak to Dr. Potter and left a message on her voice mail and didn’t get a response. I figured that what I had said a few hours later wasn’t complete so I called again and left another message. This time I got a secretary, I think, who took the message and said she would definitely want to get that to Dr. Potter. But I didn’t hear anything at all. Over the weekend I called. I was interested in how there could be no rainbow on Sunday morning when the meteorologist said it was clear. Alex Tsakiris: Okay, let’s introduce that again, too. The Dittrich article, you have to read it. It’s extremely well-crafted. Let’s give them that. And he builds this case with the facts that he has but he really builds this whole thing around this guy’s a liar. He approaches it from a number of different angles, some of which are really substantive to the story like the coma thing, and these other things that he picks at, but they do kind of stick in your mind as you’re reading the article, like the rainbow thing. Tell us what the rainbow thing is all about and then tell us what you found out. The other point you make right after this in your article is this other fact that becomes controversial, and that’s Dr. Alexander calls out, “Oh my God,” and that becomes an important part of the story. Dittrich seeks to shoot that down. Tell us about that, Robert. Robert Mays: Dittrich is saying that according to Dr. Potter he couldn’t have yelled that out. In the book it says right before he’s being taken from the emergency room to the ICU he yelled out, “God help me,” and it couldn’t have happened because he was intubated at that time. In fact, he had been intubated for about an hour before he was taken up to ICU. So that couldn’t have happened. Well, there were two witnesses. Holly Alexander, Eben’s wife and Michael Sullivan, who is an Episcopal minister, who is their neighbor. They were both in the ER at the time. So I called Holly. I talked with her and she said, “Yes, he did say that. In fact, I was standing right outside the curtain.” They had said, “Okay, everybody out because we have to do this procedure.” She and Mr. Sullivan both heard Eben say, “God help me,” as he was struggling with the people who were trying to do this procedure, whatever it was. So they went to the bedside and he was still struggling and was still unconscious. So there it is. And, of course, that happened before the intubation. So the embellishment that is happening here was for dramatic effect apparently. Oh, it had to be right before he’s taken up to the ICU rather than sometime two hours before that in the ER. Alex Tsakiris: Right. And this is a minor detail that who knows how it got in there. It’s really not important to the story. I can understand Dr. Potter saying that if she’s asked a certain way, which she was. Let’s get back to that part of the story because it’s crucial, crucial, crucial. It is the point at which the whole article from Esquire shifts. He’s picking around at all these little things and then he hits you with hey, wait a minute. I talked to the ER physician and she has serious doubts about this guy’s story. That’s the meme you get from Luke Dittrich is that Laura Potter is totally dissing this story and saying it couldn’t have happened that way and he wasn’t really in a coma and he was delirious. He makes the case that that’s probably how this story all came about, in this delirium that Alexander was having. Alex Tsakiris: And that fact that she felt like her account was misrepresented, that she was much more supportive of Alexander’s story than it came out, and that she felt like the questions weren’t fair, is backed up by what you heard from the family, right? Because the family talks to Dr. Potter and she’s apologizing, saying “Gosh, I don’t know how this happened.” That’s what I took away from your article. Is that what you got from talking to the family? Robert Mays: Yes. Basically they repeated what Dr. Potter had in this statement. When Dr. Potter finally communicated to me through the public relations person at the hospital, the PR person said, “Dr. Potter wants the statement that I was quoting in the article removed.” I said, “Fine.” I had contacted the Public Relations Department because Dr. Potter hadn’t responded yet and they didn’t respond right away. I had to call them three times. Finally, Diane Riley called me back and said she had talked with Dr. Potter and Dr. Potter didn’t want me to use quotation in there. Alex Tsakiris: But she still made that statement and she did express that to the family. I want to make it crystal clear here that we put the responsibility where it belongs and where you put it in your article. That is for Luke Dittrich, who went out there with this piece of work that he did, to back up his claims. You don’t talk to one person and then misrepresent them and not go back and say, “Hey, is this really what you said?” You don’t go and not talk to the lead physician, Dr. Scott Wade, who still stands by his report that there’s no way this guy could have had a functioning brain and that the coma lasted virtually from the time that this thing onset until he was out. The responsibility for this is squarely on Esquire. As you point out, at the very least if you’re Luke Dittrich and you think you made this little mistake by accident, great. Publish your notes. Publish your recordings with Dr. Laura Potter. Show us that you didn’t twist this into a story to fit your predetermined goal. All the other facts that you’re bringing up would really suggest that deliberate distortion was the real goal from the beginning here. Robert Mays: Right. And basically Dr. Potter expressed to the family that she had been misrepresented and that her words were taken out of context by Luke Dittrich and that he had led her to say certain things. In fact, it was a little more than that. They said that she had expressed to them that he had forced her to say certain things. I didn’t hear that from Dr. Potter but that’s what they said to me. It’s as if he was leading her in a way that she had to come out and say, “Yes, conscious but delirious,” but that isn’t really applying to Eben Alexander’s case. At least that’s my guess. Indeed, he was in a coma. Robert Mays: Yes. It’s very interesting. Dr. Potter doesn’t want to be involved in this anymore. She wants to let it go. We have to respect that so we can’t go back to Dr. Potter. But we can, if Luke Dittrich did record this, it would be interesting for the Esquire editors to look at what exactly is said and maybe make that available. What was the conversation that he had where Dr. Potter said, “Yes, conscious but delirious?” On that hinges everything of his claim that he wasn’t in a bacterial meningitis-induced coma, he was in a medically-induced coma that they brought him out of periodically. Of course, he was thrashing around, “conscious but delirious,” and then because he was thrashing around he would be put back into the medically-induced coma. No, he was out the whole time. Alex Tsakiris: That whole scenario makes for an extremely terrible explanation for this near-death experience. It goes back to the very first thing you said here, Robert, and that’s that if you’ve been around this field for a long time you’ve seen this over and over again. It’s the divide and conquer. Oh, I can explain that near-death experience this way. Oh, I can explain that near-death experience a completely different way that contradicts the first way but now I’ve handled that one. And now I’ve handled this one. I think when we talk about this we use words carefully chosen to push people in a certain way. We say, “Was he conscious? Was he delirious?” I think when you read the more medically-oriented explanation to this case what they show is that there was no way on Earth this guy should be having these kinds of experiences that he reported given his medical condition. You want to talk about a coma, conscious, delirious, whatever. His brain was gone, man. As Dr. Alexander said in that piece that I wrote you, there is no possible way that there could have been any significant brain processing going on when that brain state was that. So I think it’s disingenuous when these guys throw around these terms and try to wordsmith it here or there or pick the words apart. The guy had a severely, severely compromised brain. That isn’t even controversial. Why isn’t that the focus? Robert Mays: Right. In my article I go into talking about coma and seizures. He was having seizures and that’s why he was thrashing around. The electrical activity in his brain being under attack from the bacteria on the surface of the cortex was causing all kinds of random showers of electrical activity that would cause random muscle movements and could cause vocalizations and so on. That’s what was observed. Also, the other aspects of his coma were measured and he had severe brain damage from the beginning. He was in a Glasgow Coma Scale of eight, indicating severe brain damage and not responsive. Maybe responsive to a painful stimulus but not responsive to talking. Not being verbal at all. Being unconscious. As the days wore on, it got worse and worse. Towards the end, his hands were curling up and his toes were curling up and that’s indicating even further into coma. So to say, “Well, he was conscious when he was brought out of sedation or just delirious,” is just completely wrong. Alex Tsakiris: We may never be able to get to the bottom of this; these medical records are very hard to get your hands on. There are privacy issues. There are all sorts of medical liability issues and those kinds of things. But one final point on your article that we can wrap our arms around because it’s very public is Dittrich’s spin on Eben Alexander’s encounter with the Dali Lama. For anyone who really wants a fact-based analysis of how straight this guy is shooting with you, they can go watch Dr. Alexander’s joint presentation with the Dali Lama. So Dittrich really adds that as the capstone kicker to his article and you cover it at the end of yours. Tell us what you found out in that case, Robert. Alex Tsakiris: You know what struck me immediately was it’s as if Dittrich is signing onto this idea that the Dali Lama has some psychic powers and is reading the soul of Eben Alexander and is telling of this great deceit that he’s holding on his soul. I mean, otherwise, how was he even suggesting that the Dali Lama would know what he’s suggesting he’s saying? Which gets to the heart of the issue which is that’s not at all what the Dali Lama was saying. The whole purpose of that presentation was exactly the opposite of what we’re led to believe in the Esquire article. So please, elaborate on that. Robert Mays: Well, the Dali Lama heard Eben Alexander’s presentation and the first thing that he said was, “Your explanation on the basis of your own sort of experience is quite–quite amazing.” If you look at the video, the Dali Lama has an expression where he is really quite amazed. That’s at the very beginning. That’s the first thing he says. So that tells you he’s not making the judgment that Luke Dittrich is saying he’s making. The Dali Lama then explains something about how you can have evident phenomena; you can have hidden phenomena that you can infer from indirect measurements; and then you can have extremely hidden phenomena. Robert Mays: Right. So he’s saying that with these extremely hidden phenomena where you cannot investigate them directly or even indirectly through normal scientific means, then you have to rely on the testimony of a person who had this experience. But you have to be careful. You have to have a thorough investigation. You have to be sure that the person is reliable and is never telling lies. And then you can take the testimony. It can be credible. Robert Mays: We can rely on his testimony that what he experienced in this transcendent kind of experience, that’s reliable. That’s credible. By the way, this is exactly what we promote, as well, that the evidence–even in the transcendent aspects of near-death experiences–is valid and actually there is veridical evidence there, as well, that can be traced back to facts on the Earth. So the Dali Lama is saying that for these experiences we have to be sure that we’re talking to somebody who’s not making it up but then we need to study that. Alex Tsakiris: Exactly. So, Robert, what has been the reaction so far to the article you’ve published on the IANDS website? Robert Mays: Not very much. There have been several people who have written blogs that say, “Yes, this is certainly destroying Luke Dittrich’s credibility,” but there’s been no contact increase from the press. I’ve sent out a few emails to people who have written articles about Luke Dittrich’s article and no response. Alex Tsakiris: Right. That’s to be expected. I should mention that I did try to contact both the editor of Esquire, David Granger, and Luke Dittrich. Luke Dittrich got back to me with a very quick email saying that he respectfully declined the interview, to which I said, “Great. No problem. Why don’t I just send you five or six questions and you can do an email response?” And I’ve yet to hear from him. I never will hear from him on that. You talked at the very beginning about this pattern that we see over and over again. One of the patterns is attack the individual, attack the individual cases, don’t ever look at the research as a whole. When Dr. Jeff Long compiles hundreds and hundreds of these cases and does statistical analysis, aww, it’s going to become hard to hit on hundreds of cases; instead, just try and knock down these individual cases. Well, another strategy, I think, is get the story out there and then never respond. The follow-up story never gets the traction that the first story gets. Robert Mays: Right. But in a way, if the skeptics have got their catch-phrase about Eben Alexander now and whenever that catch-phrase is brought up, then my article can be used as a counter. Alex Tsakiris: At least there’s that. Hopefully, people who really want to investigate and really do want to nudge a little bit closer to the truth, whatever that means to them, they can follow the path. It’s really not up to us or anyone else to convince someone or try and win them over. All we can do is lay the data out there and let people have their own journey through it. To that extent, you and Suzanne have done a great service in both upping the ante in terms of journalistic integrity and maybe exposing the larger picture of what’s going on with this culture war battle about consciousness and survival of consciousness. This is really what’s at the heart of this whole thing. Great work. Thanks again so much for this article. We’ll be sure to post it along with a link to your excellent website where people can check out many of your other interesting presentations. You have some great YouTube presentations that you’ve done, as well as the writing that you and Suzanne have done. We’ll be sure to mention that. Is there anything else we should mention? Robert Mays: No, other than Suzanne and I are going to be presenting a workshop at the IANDS Conference in a week. Alex Tsakiris: Where is that at? Robert Mays: That’s in Arlington, Virginia at the Sheraton Crystal City Hotel on August 30th. We’re talking about solving the mystery of consciousness through near-death experiences. We have another researcher, Kenny Arnette, who is going to be presenting with us and we’re hoping that Eben Alexander, who will be at the conference, will at least come in and join the discussion, if not to actually present part of it. We’ve asked him that and hopefully he can do that. In any case, if anybody’s interested in that, they can get the information on the IANDS website, www.iands.org. Alex Tsakiris: Great. We’ll link people up to that, as well. It’s been great talking to you. Again, congratulations on this excellent work that you’ve done. Thanks again so much for joining me today. Robert Mays: Thank you for having me. Eben Alexander: Isolated preservation of cortical regions might have explained some elements of my experience, but certainly not the overall odyssey of rich experiential tapestry. The severity of my meningitis and its refractoriness to therapy for a week should have eliminated all but the most rudimentary of conscious experiences: peripheral white blood cell [WBC] count over 27,000 per mm3, 31 percent bands with toxic granulations, CSF WBC count over 4,300 per mm3, CSF glucose down to 1.0 mg/dl (normally 60-80, may drop down to ~ 20 in severe meningitis), CSF protein 1,340 mg/dl, diffuse meningeal involvement and widespread blurring of the gray-white junction, diffuse edema, with associated brain abnormalities revealed on my enhanced CT scan, and neurological exams showing severe alterations in cortical function (from posturing to no response to noxious stimuli, florid papilledema, and dysfunction of extraocular motility [no doll’s eyes, pupils fixed], indicative of brainstem damage). Going from symptom onset to coma within 3 hours is a very dire prognostic sign, conferring 90% mortality at the very beginning, which only worsened over the week. No physician who knows anything about meningitis will just “blow off” the fact that I was deathly ill in every sense of the word, and that my neocortex was absolutely hammered. Anyone who simply concludes that “since I did so well I could not have been that sick” is begging the question, and knows nothing whatsoever about severe bacterial meningitis. I invite the skeptical doctors to show me a case remotely similar to mine. My physicians, and their consultants at UVA, Bowman Gray-Wake Forest, Duke, Harvard, Stanford and beyond were astonished that I recovered. 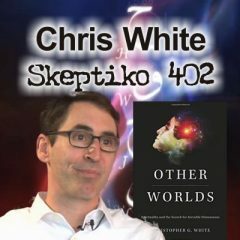 In an effort to explain the “ultra-reality” of the experience, I examined this hypothesis: Was it possible that networks of inhibitory neurons might have been predominantly affected, allowing for unusually high levels of activity among the excitatory neuronal networks to generate the apparent “ultra-reality” of my experience? One would expect meningitis to preferentially disturb the superficial cortex, possibly leaving deeper layers partially functional. The computing unit of the neocortex is the six-layered “functional column,” each with a lateral diameter of 0.2–0.3 mm. There is significant interwiring laterally to immediately adjacent columns in response to modulatory control signals that originate largely from subcortical regions (the thalamus, basal ganglia, and brainstem). Each functional column has a component at the surface (layers 1–3), so that meningitis effectively disrupts the function of each column just by damaging the surface layers of the cortex. The anatomical distribution of inhibitory and excitatory cells, which have a fairly balanced distribution within the six layers, does not support this hypothesis. Diffuse meningitis over the brain’s surface effectively disables the entire neocortex due to this columnar architecture. Full-thickness destruction is unnecessary for total functional disruption. Given the prolonged course of my poor neurological function (seven days) and the severity of my infection, it is unlikely that even deeper layers of the cortex were still functioning in more than isolated pockets of small networks. The thalamus, basal ganglia, and brainstem are deeper brain structures (“subcortical regions”) that some colleagues postulated might have contributed to the processing of such hyperreal experiences. In fact, all agreed that none of those structures could play any such role without having at least some regions of the neocortex still functional. All agreed in the end that such subcortical structures alone could not have handled the intense neural calculations required for such a richly interactive experiential tapestry. There are 9 hypotheses discussed in an appendix of my book that I derived based on conversations with colleagues. None of them explained the hyper-reality in any brain-based fashion.